Description Portable, compact storage that's easy to assemble too. Sturdy aluminium frame. Durable Oxford polyester fabric skin. Removable MDF shelves. Handy side mesh pockets for extra storage perfect for keys, torches and other gadgets that tend to get lost. Features Shelf supports sewn in for increased shelf weight capacity. Lightweight and packs down flat into a bag provided. 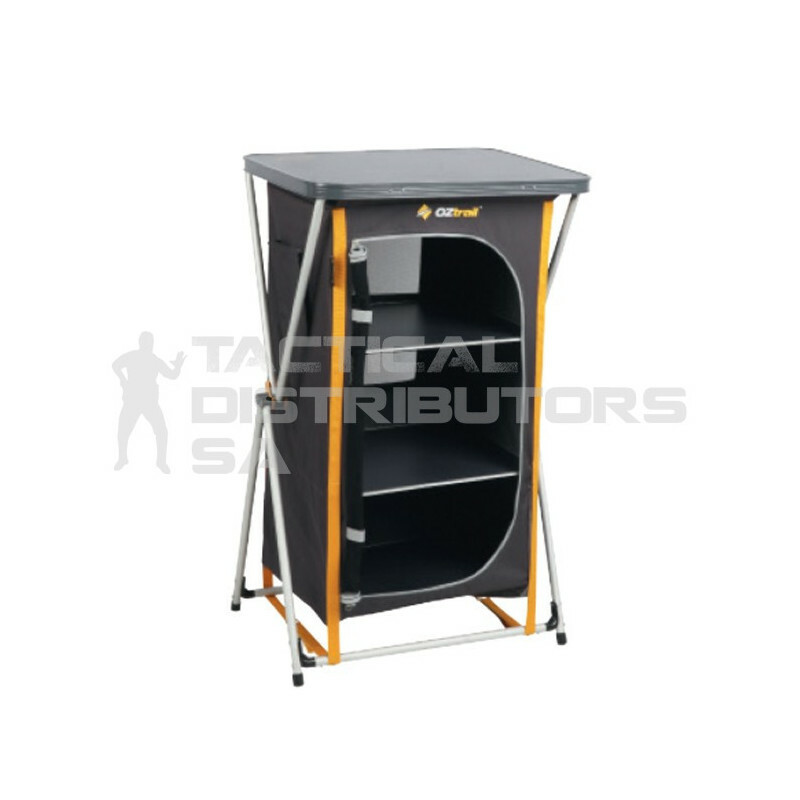 Other Please contact us for specific Oztrail products and accessories not listed on our website.